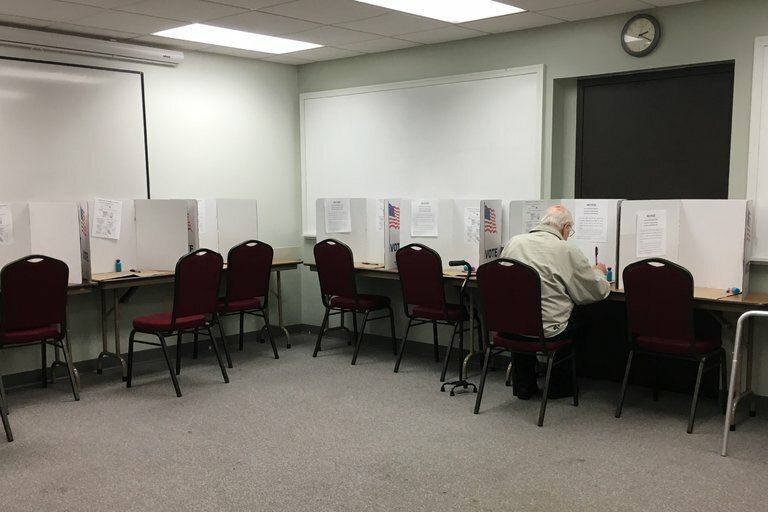 Keith Johnson (above), 85, votes early in Wisconsin for the 2016 presidential election. Slowly but surely, throughout the course of American history groups of people, of different genders and races, have been granted the right to vote. According to a KQED report, when George Washington took office in 1789 only 6 percent of the population was eligible to vote (“Voting Rights Timeline”). So, how was the United States a land where “it [was] the Right of the People to alter or to abolish it” when most citizens did not have the ability to express their concerns by voting? I first became interested in this topic in eighth grade, when we studied U.S. history. I admired powerful female figures like Elizabeth Cady Stanton and Lucretia Mott. The two activists were denied entry to the World Anti-slavery Convention in 1840 because they were women (Encyclopedia Britannica). From then onwards, women like them understood that there needed to be change not only with slavery but with women’s right as well. And the only way to achieve this goal was the ability to vote. We additionally watched an engaging film that discussed the path of women’s rights from the end of the Civil War up to the Nineteenth Amendment. This year, too, I became more curious about voting rights and their correlation with social and gender equality. For example, African American slaves were freed after the Thirteenth Amendment was passed by Congress in 1835; African American men were given suffrage in 1870, following the Fifteenth Amendment. What changed for African Americans after 1870? Did a lot change? I am an avid observer of the news, dedicating up to an hour or so in the evening to catch up on what is happening here at home and around the globe. I enjoy the news because it furthers my knowledge and makes me think to foster my own opinions. In middle school, I wrote a term paper regarding the migrant crisis in Europe and the relationship between refugees and citizens after a news program stated that Angela Merkel was loosening up immigration policies. Just before we were informed of the research project, I read an article from The New York Times about the gerrymandering case with North Carolina and could not wait to learn more and ask more questions. Map of Iroquois Confederacy (left). A clan mother of the Onondaga Nation (right). The Iroquois people, a Native American population originating from Upstate New York, founded a voting system well before white settlers permanently settled down in North America. It is estimated that the Five Nations of the Iroquois Confederacy was founded around 1500 (“Voting and Elections in Early America”). Women were prominent figures in the republican confederacy. These women, known as “clan mothers”, were the only people eligible to nominate chiefs to represent their community in the League’s Council (“Voting and Elections…”). On the other hand, pilgrim women venturing to the New World from Holland did not have much of a role in the creation of their utopian society. William Brewster, a scholar and one of the more well-educated people who traveled on the Mayflower, constructed the well-known Mayflower Compact of 1620 (“Voting and Elections…”). It was signed solely by adult males on board. During the time of Puritan New England, one had to fit specific criteria in order to vote. One had to be free, an adult, a male, and a part of a religious organization or church (The Brief American Pageant). They also had to own land worth a decent amount of money. The first formal opportunity that women had to speak up on this matter was at the Seneca Falls Convention in 1848. Prominent suffragists, such as Alice Paul and Lucy Burns, picked up from where Elizabeth Cady Stanton and Lucretia Mott left off, organizing peaceful protests that caught the world’s attention. President Woodrow Wilson, unsure of the future clash between police and the hundreds of women taking the streets, called for Congress to convene. The House passed the Susan B. Anthony Amendment, but it took until August of 1920 for Tennessee, the last state, to ratify it (U.S. History 10). According to research done by the CQ Press, in 1920, the year of the first election where women could vote, more than 40 percent of eligible women went to the polls (“The Woman’s Vote in National Elections”). Carrie Chapman Catt, the founder of the League of Women Voters, once stated, “The vote is the emblem of your equality, women of America, the guarantee of your liberty. That vote of yours has cost millions of dollars and the lives of thousands of women. Money to carry on this work has been given usually as a sacrifice, and thousands of women have gone without things they wanted and could have had in order that they might help get the vote for you. Women have suffered agony of soul which you can never comprehend, that you and your daughters might inherit political freedom. That vote has been costly. Prize it! The vote is a power, a weapon of offense and defense, a prayer. Understand what it means and what it can do for your country. Use it intelligently, conscientiously, prayerfully.” According to the Center for American Women and Politics, to this day women are far more likely to vote than men by four percentage points (CAWP). Catt would be proud. 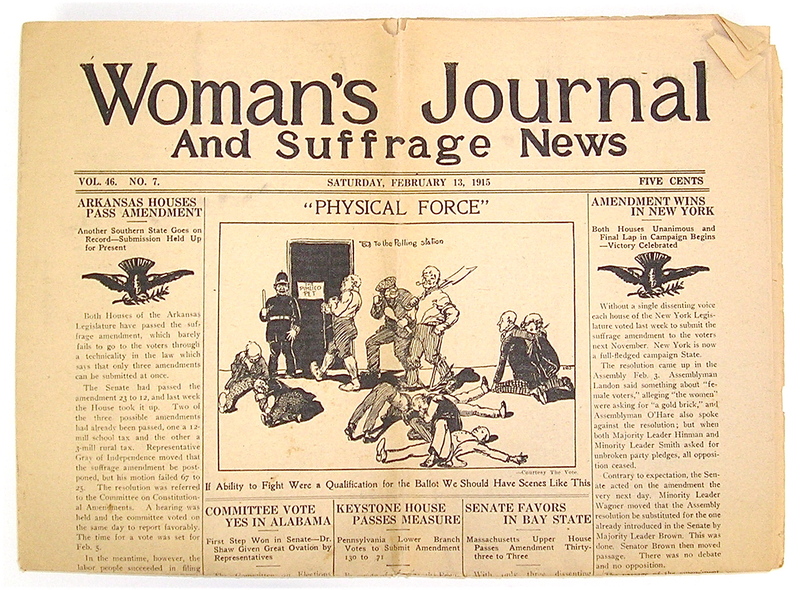 Woman’s Journal (above) was a well-known newspaper based in Boston and specialized in updating the public on women’s rights and activism. African American men were given the right to vote in 1870, after the ratification of the 15th Amendment. However, they faced problems for decades after. Black men battled with unjust poll taxes, literacy tests, and the ignominious Grandfather Clause. Poll taxes required voters to pay before casting a ballot. This created an eco nomic barrier for the poor. It targeted impoverished people of different ethnicities, but particularly African Americans as they were more likely to not have the means to pay; they were descendants of slaves or ex-slaves who were set at a disadvantage because of Jim Crow. 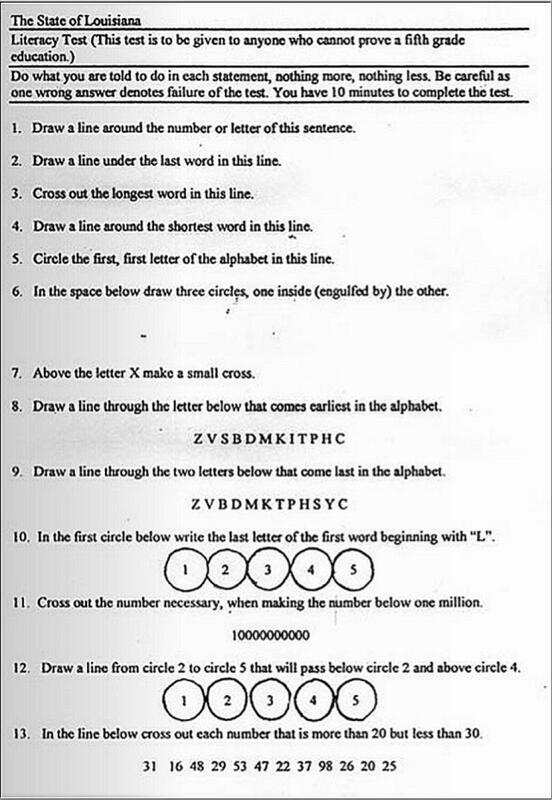 Literacy tests also prevented blacks from voting. They were often multiple pages with a time limit of roughly ten minutes. In fact, they were becoming difficult to a degree where it started to impede on the voices of more uneducated whites; therefore, states resorted to getting rid of the tests. On the right is an example of one of the literacy tests that was actually used in the state of Louisiana. These tests were purposely tricky. In addition, the Grandfather Clause stated that if one’s grandfather was ineligible to vote, they could not vote as well. Evidently, this was inequitable, for most African Americans had grandfathers who were slaves. Please take a few minutes to fill out this survey before reading on (below). In short, gerrymandering is detrimental to a democracy and strips eligible voters from using their voice based on their neighborhood’s average income level and dominant political party. Earlier this year, a federal court in North Carolina claimed that a map drawn by state legislators was inaccurate and would favor the Republican Party in this year’s November election. Unfortunately, the Supreme Court has revoked this finding. Gerrymandering is not the only issue this nation is facing. States like Wisconsin and Texas have overly strict photo ID laws. Political scientists at the University of Wisconsin found that nearly 17,000 eligible voters were kept from voting in the 2016 presidential election because of its strict voter ID law (Wines). Experts claim that it may have swung Wisconsin to the right. After Republicans gained control in Wisconsin’s legislature, they produced a law requiring voters to show proof of a driver’s license, passport, certificate of naturalization, and several other uncommon documents (Wines). This decision was aimed to stop Democratic voters, often lower-income people and minorities, from voting. It is harder for the poor and minorities to obtain the proper documents because their name must exactly match their birth certificate. According to a study from Rice University, it is estimated that 9 percent of nonvoters were turned away because they lacked a valid ID (Wines). Many politicians, specifically more conservative Republicans, argue stricter laws around voting deters fraudulent voting. However, voter fraud is far less prevalent than we think. A map of Texas (above) illustrates voting discrimination in the state. Heavily Hispanic regions have far fewer Driver Licence Offices, or DLOs, thus making it harder to have the proper identification information to vote. The issue at hand is that the politicians are the ones drawing the district lines for elections. Four states have led the way for others to follow: California, Arizona, Washington, Idaho have separate commissions to be in charge of redistricting (Ingraham). Alan Lowenthal, a Democratic Congressman from California, has a solution to this national problem. Lowenthal introduced the “Let the People Draw the Lines Act” in 2013 to Congress. It includes the creation of panels with an even amount of Democrats and Republicans and four Independents. Only they would be able to make the approval of the drawn map. To conclude, if states with prominent voter discrimination issues can look for ways to create a non-biased system to draw voting districts, gerrymandering could be a thing of the past. President Donald Trump claims, despite fact-based rebuttals, that many cast illegal votes in the 2016 presidential election. In fact, the president created the Presidential Advisory Commission on Election Integrity several months into his term. Despite an effort “to investigate [the] vulnerabilities in voting systems and practices used for Federal elections”, the commission was terminated in January of 2018 due to a lack of progress and support from states. Why were certain states opposed to the White House collecting data regarding the people who vote in this election? According to Rebecca Harrington of the Associated Press, “Critics argue the commission is stacked with people who favor voting restrictions, rather than those who want to expand access, and that the commission has a predetermined agenda that will result in recommendations making it more difficult for people to register to vote, stay registered and cast ballots” (Harrington). After fifteen states stood up to the federal government in this encounter, it proves that states can be the ones to hold back voting discrimination in the future. Thank you for taking the time to peruse my presentation on America’s long and unfortunate history with voting discrimination. Although there has been progress since the Reconstruction era and the Civil Rights Movement, there is still much to be done. If you eligible to vote, elect people who you believe will combat this issue. Also, be aware of the measures your state has taken to either put an end to gerrymandering or increase it. Please take several minutes to fill out the following form. Responded.” Business Insider, Business Insider, 22 Oct. 2017, www.businessinsider.com/how-states-responded-trump-election-commission-request-release-voter-data-2017-10. 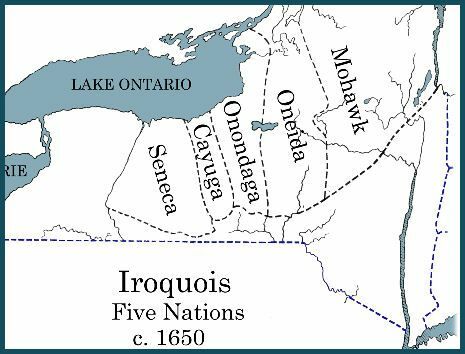 The Five Nations of The Iroquois Confederacy. Wikipedia. University, Harvard. “The Woman’s Journal and Woman’s Journal and Suffrage News.”ListView, listview.lib.harvard.edu/lists/hollis-002490378. “U.S. Voting Rights Timeline.” KQED. Wall, Steve. Clan Mother of Onondaga Nation. Onondaga Nation.